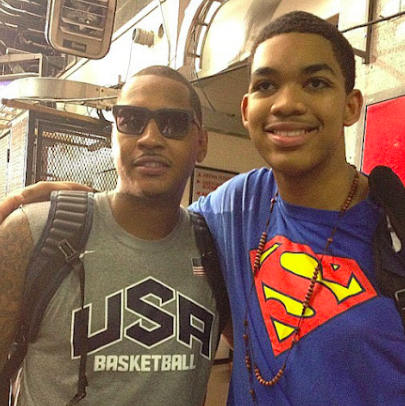 The Knicks like Karl-Anthony Towns. Karl-Anthony Towns likes the Knicks. But neither party can control what happens in the Draft on June 25. 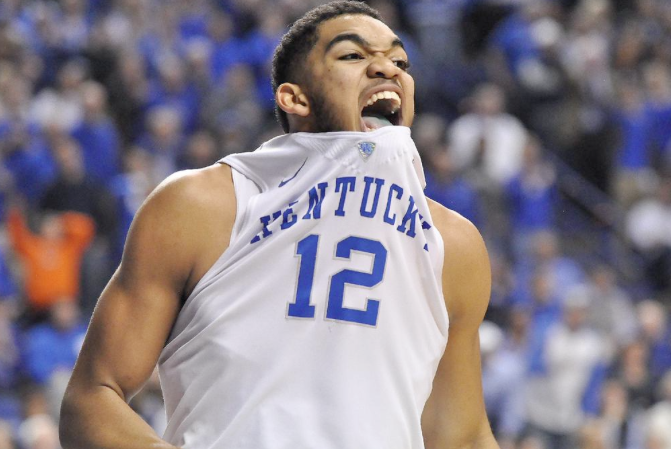 Towns, who grew up in New Jersey, is a big Knicks fan, and figures to be a top-two pick on Draft night. The 19 year-old could get that opportunity very soon. The Knicks had the second-worst record in the NBA this season. But due to the lottery, getting a shot at Kentucky’s center is no sure thing. The Knicks have a 19.9 % chance at the top pick, an 18.8 % chance at the second pick (38.7 % of being top-two), a 17.1 % chance at the third pick (55.8 % top-three), a 31.9 % chance at the fourth pick (87.7 % top-four), and a 12.3 % chance at the fifth pick (100% top-five). This entry was posted in Articles and tagged karl towns, karl towns knicks, karl-anthony towns, karl-anthony towns knicks, karl-anthony towns knicks fan, karlanthony towns, KNICKS, knicks draft, knicks draft pick, knicks lottery chances, KNICKS MEMES, nba draft lottery, tommy rothman knicks on May 4, 2015 by Tommy Rothman.